Stay Gold – A tribute to my canine familiar and muse and best friend of over 12 years, Miguel (RIP). 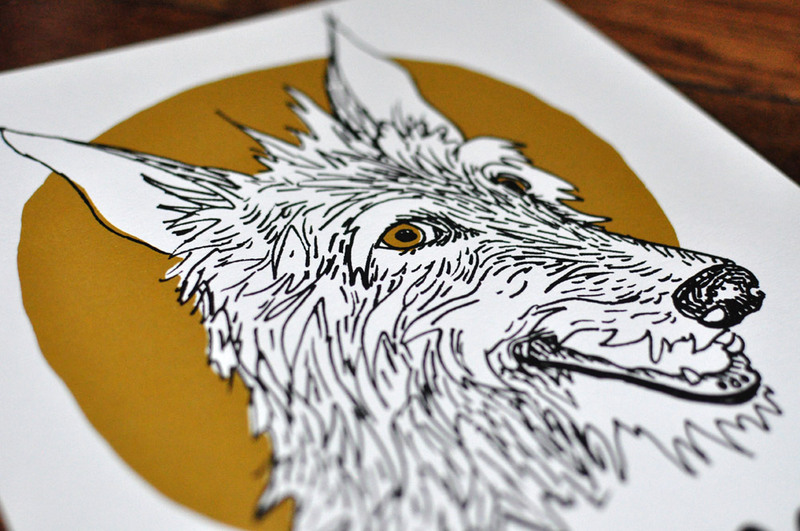 8.5" x 11" two-color screen print (black + metallic gold) on 100# French Paper. Printed by me, and signed and dated on the back.